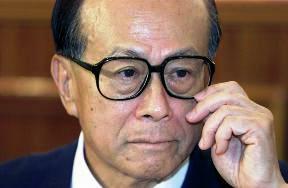 Li Ka-shing’s stock market flops will come back to haunt the tycoon when it matters most. His latest spinoff, utility HK Electric, has become the third listing in a row from the businessman’s energy-to-telecoms empire to fizzle. Though markets are soft, Li’s reputation for selling at the top may make it harder to get a premium valuation if he decides to press ahead with an initial public offering (IPO) for his prized health and beauty retail business, A.S. Watson. Li’s listings have not always performed so poorly. Investors in Hutchison Telecom International Limited, which listed in 2004, made around four times their money as the company outperformed the local index by almost 300 percent on a total shareholder return basis before being privatized in 2010. However, more than a third of the 16 listed companies backed by Asia’s richest man trade below their IPO price, and the last three spinoffs have struggled. Orders from institutional shareholders barely matched the number of shares on offer in last month’s IPO of HK Electric. Following the market slide, the shares now trade almost 5 percent below their IPO price. Singapore-listed Hutchison Port Holdings Trust and Hui Xian, a yuan-denominated China-focused real estate investment trust, have underperformed local markets on a total return basis by 13 percent and 28 percent, respectively, since they were listed in 2011. Li’s image as a canny trader may make investors wary of Watson, which is the subject of a strategic review by its parent Hutchison Whampoa and may be spun off. The business has performed well: revenue at Watson’s health and beauty division in China grew 17 percent in the first half of 2013. But that also begs the question of what Li would do with the proceeds of any IPO: it’s unclear where he could reinvest at similarly high returns. Indeed, analysts at CLSA say a decision to proceed with a listing of Hutchison’s retail division – which they value at $29 billion – would be interpreted as a sign that growth will slow sooner rather than later. Watson appears to be a more attractive business than the tycoon’s recent offers. Even so, for it to be successful Li may have to leave some money on the table for outside investors. Cheung Kong Holdings, the property flagship of tycoon Li Ka-shing (pictured here), is planning to raise as much as Rmb10bn (US$1.5bn) by listing Chinese property assets in Hong Kong. The first renminbi-denominated IPO outside mainland China marks the latest step in the internalisation of the Chinese currency and comes as a further boost to Hong Kong’s status as the world’s offshore renminbi centre. Share units in HK Electric, the utility investment trust backed by Li Ka-shing, have fallen almost 5 percent below their initial public offer price since their debut on Jan. 29. HK Electric raised $3.1 billion from its IPO priced at HK$5.45 per unit. The units were trading at HK$5.19 on the morning of Feb. 5. The benchmark Hang Seng Index has declined 3.3 percent since the shares started trading and 7.3 percent since the offer was priced on Jan. 22. Li’s flagship conglomerate Hutchison Whampoa said last year that it was conducting a strategic review of its health and beauty retail business A.S. Watson & Company which may result in an IPO of all or part of the business. Watson generated EBITDA of HK$12.7 billion ($1.6 billion) in 2012 from over 10,800 stores in 33 markets worldwide.